Why do you need to know about mesothelioma? The tissue that lines your lungs, stomach, heart, and other organs is called mesothelium. Mesothelioma is a tumor of that tissue. It usually starts in the lungs, but can also start in the abdomen or other organs. Most often, mesothelioma occurs in the lining of the lungs, called the pleura. It can be benign (not cancer) or malignant (cancer.) Malignant mesothelioma is a rare but serious type of cancer. Most people who get it have worked on jobs where they inhaled asbestos particles. After being exposed to asbestos, it usually takes a long time for the disease to form. Other causes [of mesothelioma] include zeolites, radiation, and more. There are many veterans who are now in their elderly years, and because they served in the military when asbestos was frequently used for many of military materials, they are at a higher risk for contracting the disease of mesothelioma. Exposure to asbestos is the No. 1 risk factor for mesothelioma. There are numerous ways in which a veteran may have been exposed to asbestos while in the service of our country. Herbicides were used in Vietnam to defoliate trees in order to remove cover for the enemy. During the manufacturing process, significance amounts of harmful contaminants called dioxins were produced. Different blends of herbicides were used but the most common was one called "Agent Orange." Being on the ground in Vietnam, during the war or on the inland waterways is sufficient for presumption for service connection. Harmful exposure other than the automatic "boots on the ground" for Vietnam is generally considered to be inhalation and not topical. Exposure also occurred in Thailand, the demilitarized zone in Korea and presumably on certain ships offshore from Vietnam (those proven to be in harbor). In addition, numerous storage, spraying operations, testing and loading sites – outside the country and inside the US – could have resulted in exposure. Weight loss for no known reason . 1. The stage of the cancer, or the extent of cancer in the body. The stage is usually based on the size of the tumor, whether there are cancer cells in the lymph nodes, and whether cancer has spread beyond its original site. 2. The size of the mesothelioma. 3. Whether the mesothelioma can be removed completely by surgery. 4. The amount of fluid in the chest or abdomen. 5. Your age and general health. 6. The type of mesothelioma cells. Three standard types of treatment are used: surgery, radiation, and chemotherapy. Treating mesothelioma often involves a combination of two or all three. Wide local excision, which removes the cancer along with some of the healthy surrounding tissue. Pleurectomy and decortication, in which the surgeon removes part of the covering of the lungs, chest lining, and outside surface of the lungs. Pleurodesis, which involves using chemical or drugs to make the lung lining scar and stick to the lung. The scarring stops the buildup of fluid. Radiation Therapy. This type of cancer treatment uses high-energy X-rays and other types of radiation to kill mesothelioma cells or keep them from growing. Radiation may be administered externally or internally. External radiation therapy uses a machine outside the body to send radiation toward the cancer. Internal radiation uses a radioactive substance sealed in needles, seeds, wires, or catheters that are placed directly into the area near the mesothelioma. Mesothelioma Medications (WebMD). Chemotherapy is a cancer treatment that uses drugs to stop the growth of mesothelioma cells, either by killing the cells or by stopping them from dividing. Chemotherapy can be given by mouth, injected into a vein or muscle to enter the bloodstream and reach mesothelioma cells throughout the body, or it can be placed directly into the affected area of the body to mainly affect mesothelioma cells in that area. Sometimes doctors use more than one chemotherapy drug. This is called combination chemotherapy. The NCPC is dedicated to helping families deal with issues and challenges seniors face. 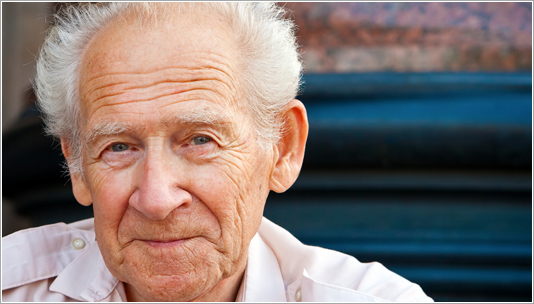 We offer free help locating eldercare and senior services in your area. Some of these services include Care Management, Elder Law, Estate Planning, Funeral Planning, Home Care, Medicaid Planning, Placement, Reverse Mortgage, and Veterans Benefits. BOOK: "How to Deal with 21 Critical Issues Facing Aging Seniors"